ALS Research Forum | San Diego: TDP-43 Targets Loom Large—But Where's the Bull's Eye? What RNAs does TDP-43 modify, how does it change them, and what proteins does it work with? These are questions everybody is asking, said Chantelle Sephton, first author on the JBC paper with senior author Gang Yu and colleagues at the University of Texas Southwestern Medical Center in Dallas. All lead up to the ultimate questions, she said: How do these processes cause pathology, and how might doctors target TDP-43 to treat disease? Therein lies the rub, since TDP-43 has so many binding partners. I do not believe every target plays a role in the disease process, said Fen-Biao Gao of the University of Massachusetts Medical School in Worcester, who was not involved in the JBC paper or SfN posters. Indeed, transcriptome-scanning studies are merely hypothesis-generating tools, said Joachim Herz, another professor at Southwestern Medical Center and a coauthor on Sephton’s paper. The JBC paper is the first published study to seek out TDP-43 targets without overexpressing the protein, the authors said. The authors isolated RNA from rat primary neuron cultures, then used TDP-43 antibodies to immunoprecipitate RNAs that interact with the protein. Collaborating with researchers in the group of Melissa Moore at the University of Massachusetts, the scientists sequenced the TDP-43 targets. I was floored by the number of targets, Sephton said. More than 4,000 genes appear to rely on TDP-43 to modulate their expression. It’s really a foundation-type study, Sephton said, noting that researchers can now pick and choose which targets they think are involved in disease for follow-up studies. Among the gene set was TDP-43 itself, suggesting it regulates its own expression via some sort of feedback loop. The authors suggest TDP-43 binds its own 3′-UTR, and alters either the stability or translational efficiency of the RNA. The exact mechanism for this feedback is unclear, Sephton said, but it dovetails nicely with animal studies. Animals heterozygous for TDP-43 often produce more than half the normal amount of the protein, suggesting the remaining allele compensates for the missing one (Sephton et al., 2010). 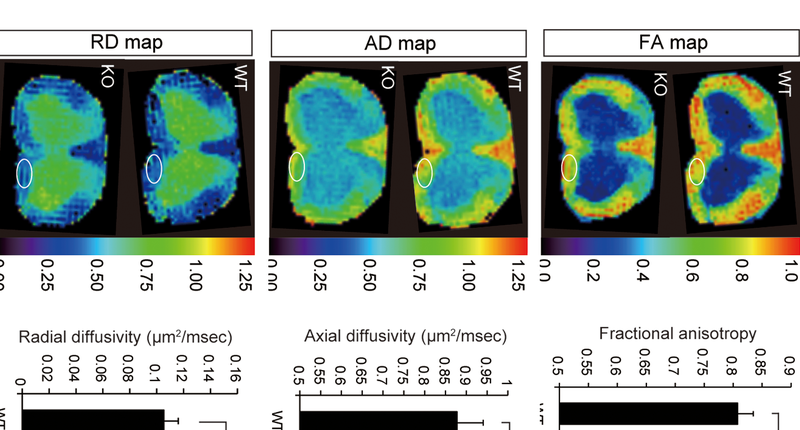 Other TDP-43 targets readers may recognize include FUS, progranulin, tau, amyloid precursor protein, and α-synuclein, which are all related to neurodegeneration. The multitude of TDP-43 targets indicates the complexity researchers face in untangling disease mechanisms Gao said. All these toxic proteins affect so many pathways, he told ARF. It is a challenge for the fieldto identify the key targets.